Plant Selection: The saying “right plant, right place” is just as important in your veggie garden as it is in the landscape. Summer humidity is tough on plants, so only a few of our crops will be successful. I would recommend sticking with sweet potatoes, okra, southern peas, collards, and cherry tomatoes. Sounds like a traditional southern dinner! If there are any plants from earlier seasons still in the garden, consider removing them. As soon as a plant or crop is no longer productive, remove it from the garden and compost or dispose of it. Also, keep up on regularly harvesting your vegetables so that they do not become over-ripe and attract insects. You can also grow herbs during this season. Most herbs will do we ll and grow very vigorously and reward you with more flavor than you know what to do with. If you want cilantro, try growing culantro instead. 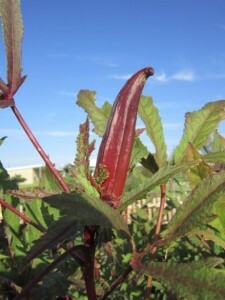 This plant is a little more difficult to find, but grows much better in the summer months with the same fresh flavor. The leaves can get tough, so I find that it is best to harvest these frequently and chop them fine for use. Watering: Summer rains may seem significant, but keep an eye on your plants for signs they need additional watering. Look for plants that are wilted in the morning (an afternoon “heat wilt” is the plants defense against the sun) or at dusk. If possible, water plants early in the day so that they are drying off as much as possible for the evening hours. Wet leaves serve as a conduit for some fungus and disease, so do your part to help keep them dry. Also consider microirrigation or drip watering that puts water right on the base of the plant and keeps the leaves from getting soaked. Take a Break: The other option for this season is to take a break from gardening and harness the sun’s intense rays to sterilize your soil. Using a double layer of clear plastic over the bare soil will heat the soil to kill nematodes, weeds and diseases. After laying down the plastic, use soil or weights to seal down the edges and trap in the generated heat for four to six weeks. Not only will you be able to relax, but your soil will be better than ever for your fall crops. 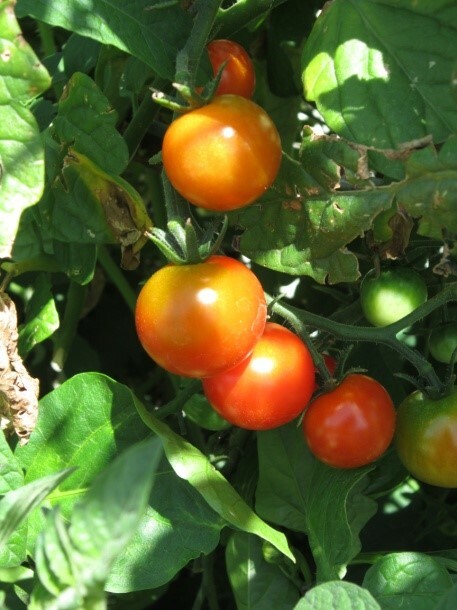 This summer make sure to choose the right crops for your summer garden. You will be able to continue harvesting your fresh vegetables and herbs throughout the season and keep garden productive year round.